PSL lovers this one is for you! 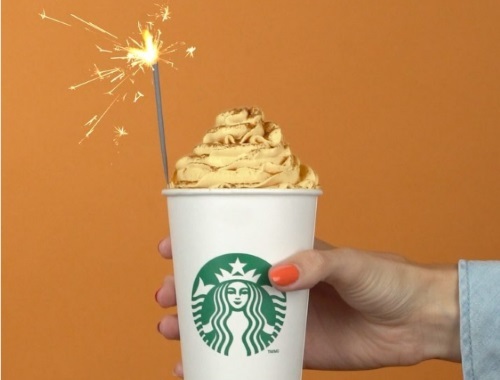 For three days only, October 5-8 Starbucks is offering Free Pumpkin Spice Whipped Cream as a topping for their Pumpkin Spice Latte! This is to celebrate PSL's birthday! Be sure to ask for the PSL Whipped cream if you order a PSL int the next few days! Are you obsessed with the PSL as much as I am? How many times can I say PSL in this post? Not enough! Click here to read the DailyHive article.